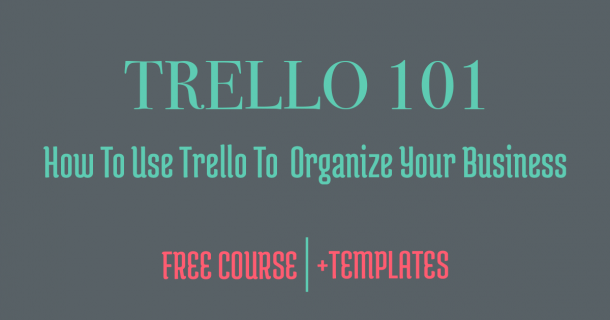 If you have been hanging around here for any amount of time, then you might have figured out how much I love Trello to organize #allthethings! Well, when it comes to planning for the year ahead, of course, I turn to Trello to organize all the goals & plans I have for the year. I wanted to share with you a few of the ways that I use Trello to organize my year and how I break that down. 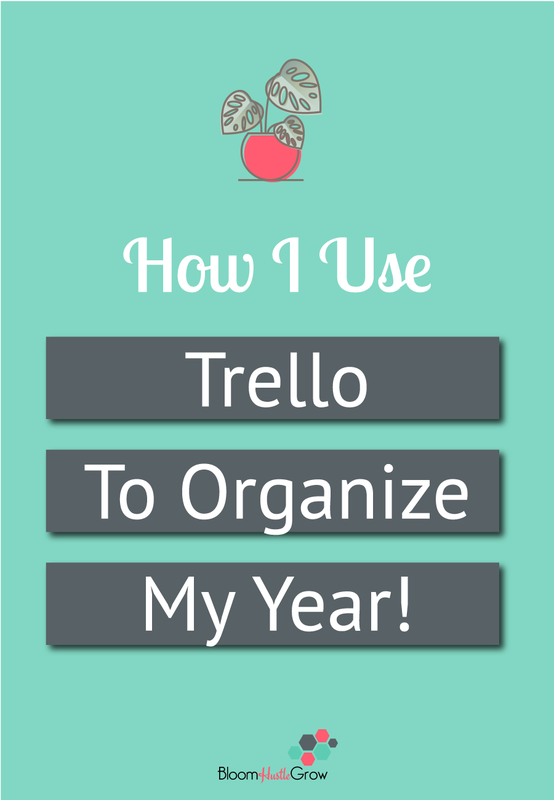 Organize Your Year Using #Trello! This past year I allowed myself to get very messy in reflecting and planning for my year ahead. That process resulted in this pile of papers (picture #2 which wasn’t even the full pile). Since I didn’t follow a set process and wasn’t too neat about it, I wanted to have a big overview of all that work. So I created a braindump board, and it helped me to organize and further expand on all those notes. I create a fresh board to house my editorial calendar for the year. This includes post ideas, guest post opportunities for the year, and is all ready for fresh post creation. I also review my blog post template card to make sure it was up-to-date. And reset my labels and categories to reflect my content focus for the year. 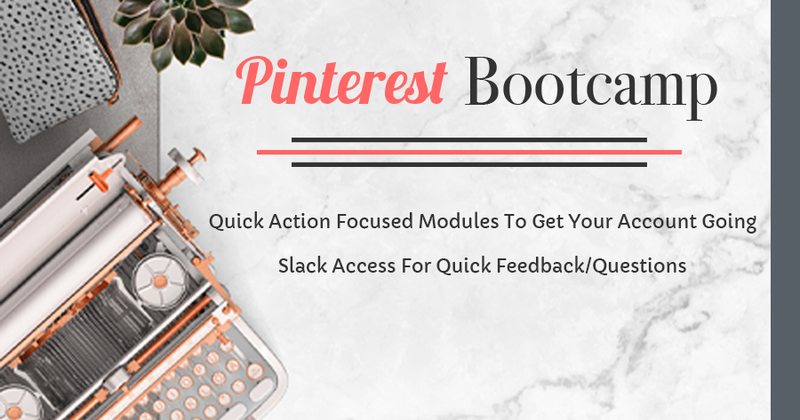 I also move over my most popular opt-ins and ones I will be utilizing still in the new year, that way they are right on the board as I create posts. 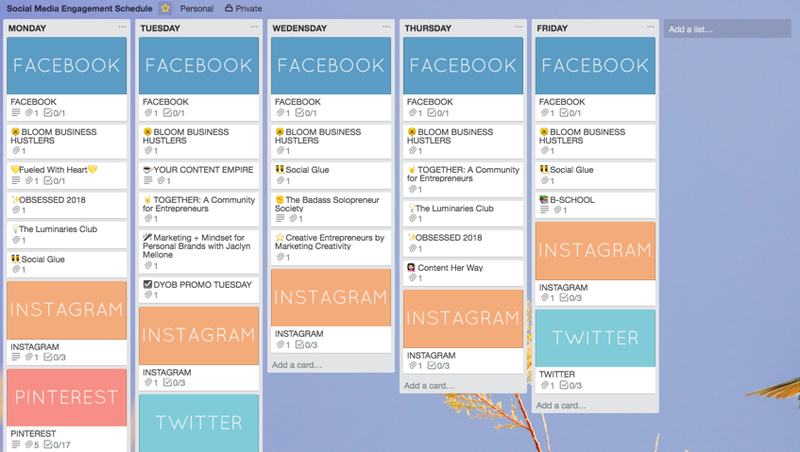 Of course, just like my content calendar, my social media schedule requires a freshening up. I created a fresh board. I did copy over some cards from my prior board but also cleaned up and reset my schedule to reflect my social media focus for the year. Checklists were reviewed and updated as needed. Prior to developing this board, I had a 90-Day Planning Board and then a Weekly Planning Board and move tasks between the two. So I’ve finally developed a one-in-all board, which I’m tickled pink over. 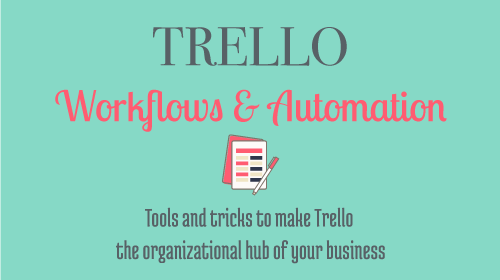 I stress to you, however, that the way you manage your day to day operations/schedule using Trello should be what works best for YOU. For me I work best with a big overview and then details, I like seeing how it all fits together, for other people it’s easier if things are compartmentalized because they are overwhelmed when it’s all in front of them. There is no right way. While it’s named “This Quarter,” I do have cards for all quarters listed so that I can easily add notes or future to-do’s to those cards as I move through the quarter. The quarters are then broken down into months, and then weeks. All my daily planning is done in my paper planner My Get To WorkBook. I could easily add a “this week” list to this board, with the days of the week and move tasks to that list as needed OR have a week board that has Monday-Friday listed as individual lists to manage my day-to-day. This board is my central operations board, where I house links and files that are part of my overall operations. This board just got a once over to add any updates needed. And this is how I utilize Trello to organize my business for the new year! Of course, I also have personal boards, that I use to organize my personal goals as well like hikes, food, and travel I want to try in in the new year. Yes, I really use Trello to organize all the things! 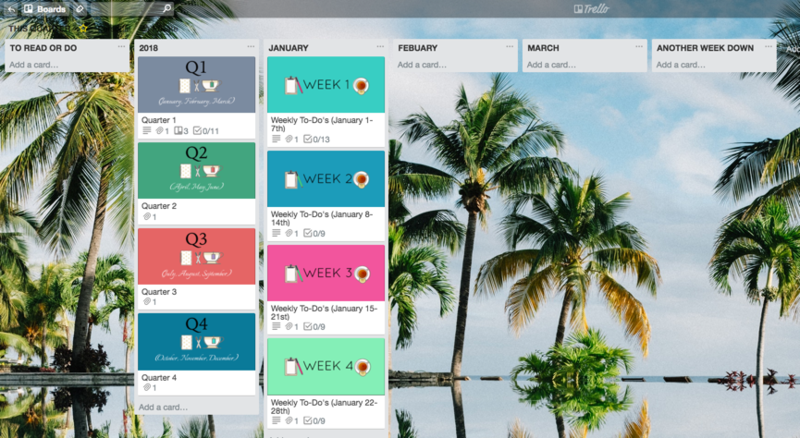 Want to see and get templates of exactly how I plan my year using Trello? 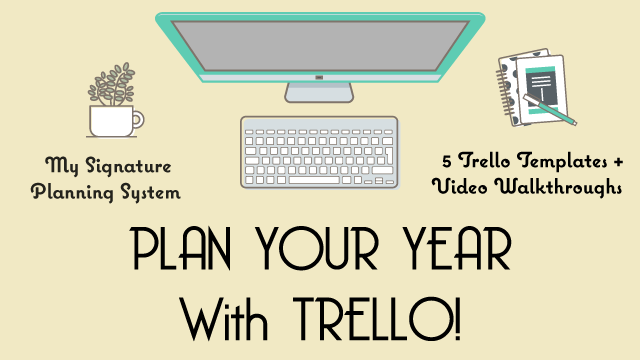 Then join me for Plan Your Year With Trello! 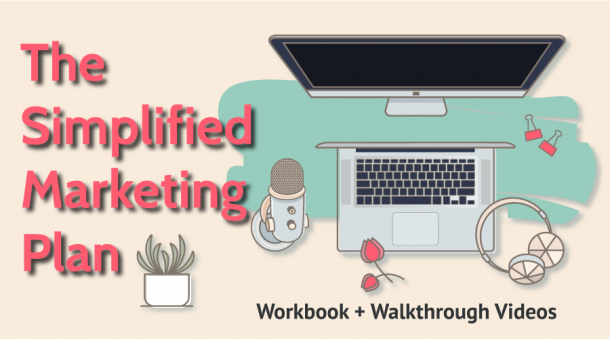 I’m giving you my system for keeping my business on track all year long!